Saturday and Sunday 10am until late. SPORTING a stylish interior with a softer touch at its new outlet in Plaza Damansara, local gastro-pub Jarrod & Rawlins (J&R) has made its premises smoke-free to create a more comfortable experience for its customers. “There has been a lot of talk about it so I think now’s the right time to make our place non-smoking. Even countries like Thailand have started doing it. We have a lot of customers who come with their children so they won’t have to deal with all the second-hand smoke,” said owner Denis Rawlins, 41. “Those who want to smoke can just walk out to the front of the shop. We’ve gotten positive feedback from our customers who don’t smoke because they won’t have to walk out of here with their hair and clothes smelling like smoke,” he said. 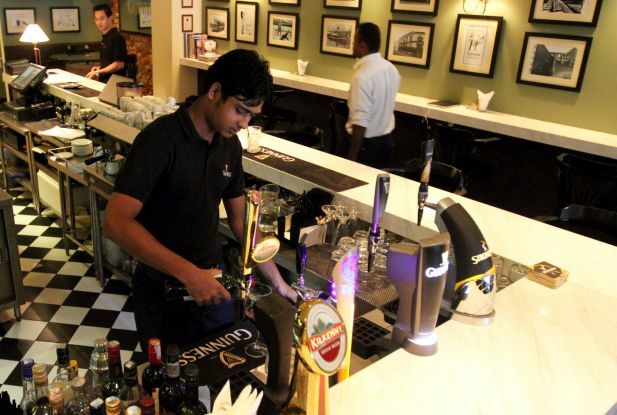 After moving from Jalan Dungun, Rawlins introduced several new bar snacks for those who like something to nibble on while having their drinks. The Pork Rillet with Baguette and Gherkins is a rustic French dish consisting of a pate-like pulled pork that has been cooked until soft to be spread onto the baguette. 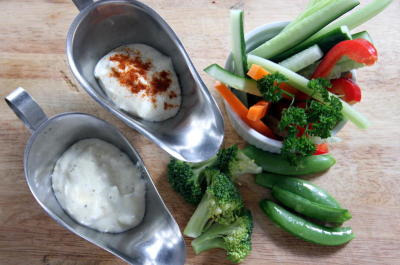 Healthy bites: The Crudites — sliced vegetables served with dips. The Chicken Liver Pate is also served with baguettes and both of these savoury dishes would complement a round of beer. “We came up with these items so our customers would have more choices of bar snacks rather than the typical chicken wings or french fries,” said Rawlins, who enjoys cooking and has a hand in creating many of the dishes served in the outlet. For a more Asian flavour, and for those who prefer not to get crumbs on their fingers can go for the Chicken Tikka Skewer. Rawlins recommended the Crudites, consisting of sliced vegetables served with a dip, for a lighter and healthier snacking option. Having been around for eight years, the home-grown brand has kept customers coming back for its all day breakfast sets, and crowd favourites like the Pork Knuckle and Sunday Roast. “A lot of what we serve here is what I enjoy eating. We also have some fusion items like the Chilly Pan Mee, which I created using linguine, bacon bits, ikan bilis and served with chillies,” he said.